A presentation about egg-binding (egg-retention) in koi fish. This month, I’ve invited a final year veterinary student who’s doing work placement with me, to make a presentation to the Koi Society of WA, about egg-bound koi fish. 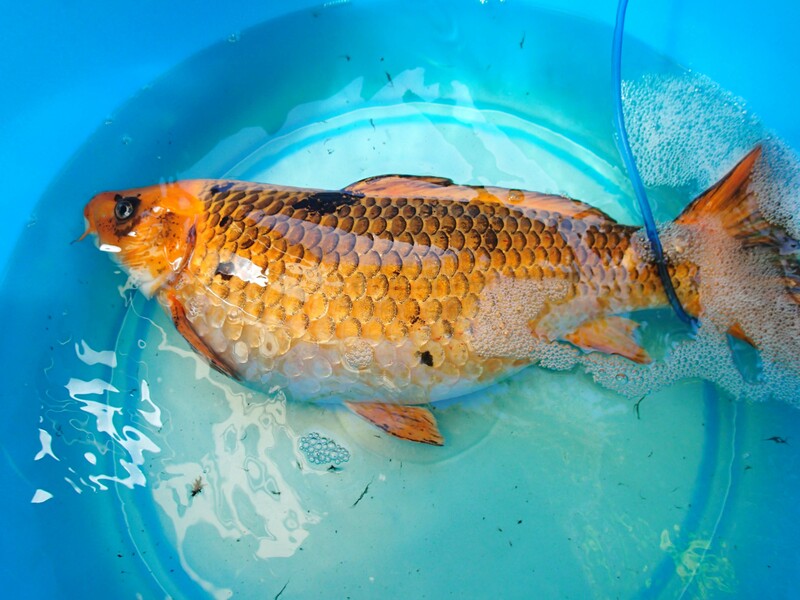 Presentation summary: This talk will briefly outline the differential diagnoses for abdominal swelling (and asymmetry), and some of the common reproductive problems of female koi, with an emphasis on egg-binding or dystocia. The husbandry and physiology of this condition will be discussed, as well as treatment methods. If time permits, other topics, such as artificial spawning, may be discussed. The presentation will be held at this month’s Southern Branch Koi Society of WA (KSWA) meeting. Time: 7:30pm, Wednesday 25 March, 2015. Venue: South Perth Rotary Hall, Sandgate Street, South Perth (cnr Renwick St). Ellen Rasidi is a final-year veterinary student at the University of Sydney, with an interest in all ‘exotics’ – fish, amphibians, reptiles, birds, rodents, ferrets, wildlife… She has had a wide variety of experience within the field, including nursing in exotics practice in Melbourne, working in a chimpanzee sanctuary in West Africa, an externship in falcon medicine in Abu Dhabi, and research into canine dementia in Sydney. She is the founding president of the Sydney student chapter of the World Aquatic Veterinary Medicine Association, board member of Australian Raptor Care and Conservation Inc., and a veterinary nurse at the Animal Emergency Centre, Canberra. Ellen currently has a paper in publication on the topic of fish welfare, co-written with the past, current and future presidents of WAVMA. Previous Post Fish Joke for Monday-itis: What name would you give to a goatfish? Next Post What lighting is better for coral? LED or LEP? A very interesting topic it is unfortunate I cannot attend. A comment on my observation of one of my female Koi this breeding season is that she spawned on three separate occasions. The first spawning was in a controlled situation. The other two occurred at different intervals some time after her return to the main pond.